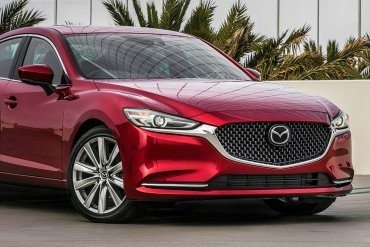 The redesigned Mazda 6 is the full-size sedan, refreshed and refined for the 2018 model year. Equipped with new Cylinder Deactivation and available with a 2.5 T Dynamic Pressure Turbo engine the new Mazda 6 has the power to match its more refined and aggressive design. 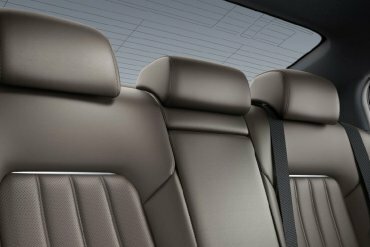 The refinement extends into the interior of the vehicle with a wealth of new premium details that make it a joy to be in, whether you are the driver or a passenger enjoying the ride. The Mazda6 has four (4) trim levels within its model grade lineup. These include the GS, GS-L, GT and the Signature Trim levels. With the new Signature trim we deliver a car equipped with genuine Nappa leather seats and Japanese Sen wood trimming on the dash and doors. These details all come together to create an upscale interior that rivals those of luxury brands. Equipped with Mazda's groundbreaking SKYACTIV TECHNOLOGY and striking KODO: Soul of Motion design language, the Mazda 6 sedan is not only an exhilarating drive but a vehicle that will undoubtedly turn heads, even your own as you walk away from it. 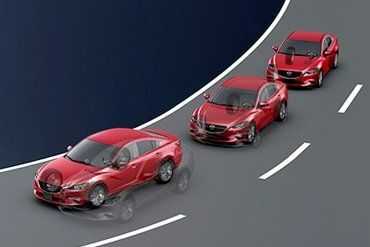 G-Vectoring Control is the latest addition to Mazda's suite of SKYACTIV technologies. 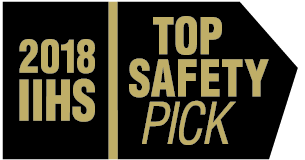 This subtle technology made such an impact it received the AJAC 2017 Best New Innovation Technology Award. 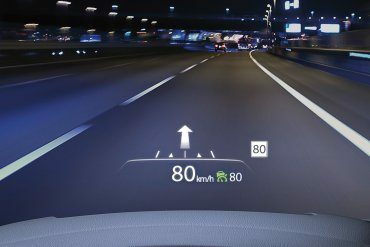 The full-colour Active Driving Display projects crucial information, such as speed limits and directions, on the windshiled in front of the driver allowing them to remain focused on the road. Standard LED healights with integrated fog lights sit above a widened signature wing and a new mesh grill to give the Mazda 6 a wider, more dramatic expression. Combined with Soul Red Crystal paint this car was made to turn heads.